One of my aims for the trip is to fish in every country we visit over the next year. 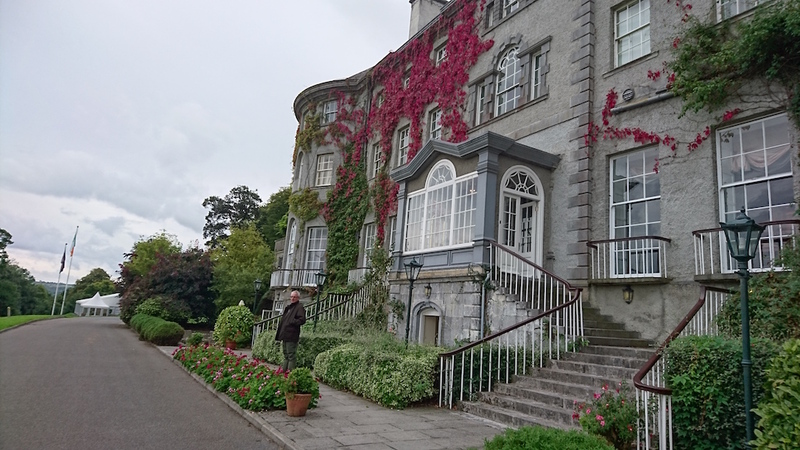 As a precursor, we are in Kilkenny in Ireland this week to see Helen’s mum before we set off and my birthday present was a day’s salmon fishing on the nearby River Nore at the Mount Juliet estate. 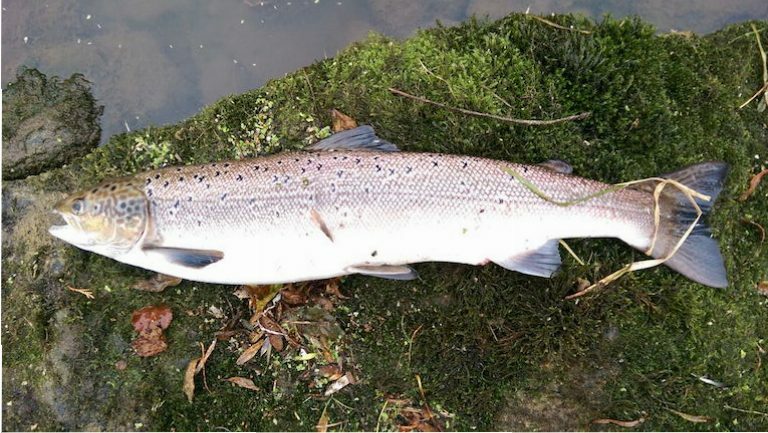 Although I have been fishing on and off since I was 14 I have never caught a salmon despite much trying so to be honest everyone’s expectations were low. 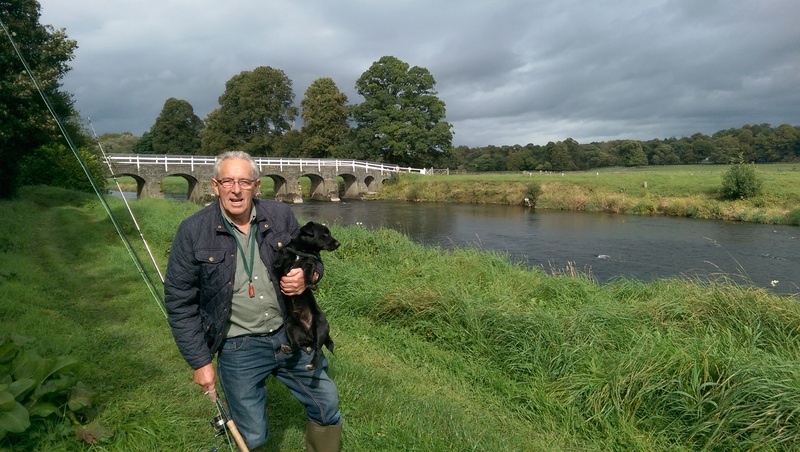 Eddie, the gillie, and his Patterdale terrier Jack looked after me and confirmed it has been a difficult season. Sure enough there was not even a sniff of a fish all morning. So after lunch I set off up river on my own. 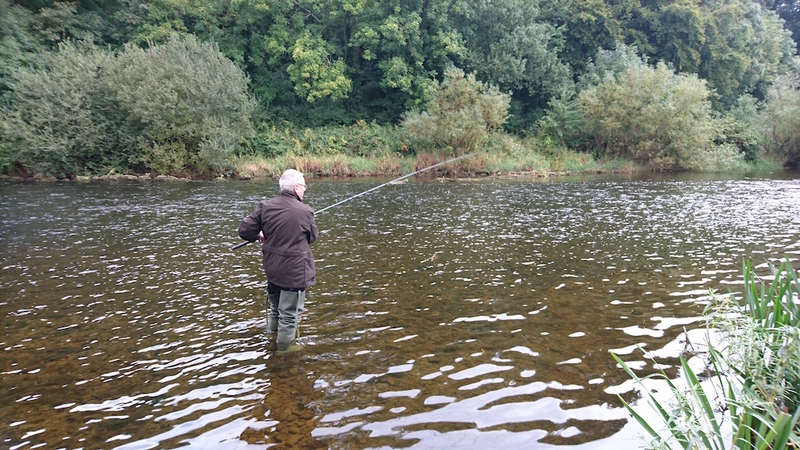 After an hour or two I came to a lovely pool, cast a few times with my trout rod and hooked into a salmon. After a few leaps (from the fish) and much toing and froing ( by me) I eventually had to jump into the river and lift it out on to the bank. My first salmon and on the fly!! Of course, it went back into the river and after a few moments it swum slowly into the pool. 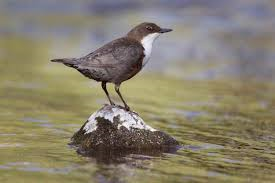 And that was it- after all these years with not a soul anywhere to see it happen – just me standing there trying to believe that it really did happen, the river flowing past, the rain pouring down and a dipper, its white front bobbing up and down, on the river’s edge. By this time it was lashing down, my waders were full of water so I headed back to the hotel, a grin plastered across my face, looking for someone to tell. Thanks Gavin. Still thinking about it- can’t quite believe it actually happened. Sounds Idyllic! We miss you! Sorry Ive been a while replying- it has been a tad hectic both in Ireland and then back home what with a farewell party (i.e. everyone is glad to finally see the back of us) to recover from. Now finally on the road, at Portsmouth now and then off to Spain tomorrow. Well done Stuart, reminds me of your fishing attempt on Loch Moror many moons ago. So well done again a triumph. Thanks- Except I caught zilch at Loch Morar and nearly drowned when the tide came in when fishing the estuary! A worthy catch after all this time! Pity I wasn’t there to witness and photograph the big event, but there will be plenty more…..